Longview, Washington - Print Design - Graticle, Inc.
We’re an established print design business in Longview, Washington. Graticle is your single source for graphic and print design since 2009. We specialize in design for clients looking to take their marketing materials to the next level. At Graticle, we will ease your mind by creating a design that’s tailored to your business and message. Then, we walk you through the options to find the format that will best accomplish the goals you’ve set out. We do our best keep you involved at every aspect of the project. From creating the initial layout in a wireframe, all the way to the final design when we’re prepping it to go to print. Communication is key, and we keep you aware of our progress daily. Need proof? Read any one of our 74 testimonials and browse our portfolio. We designed and printed these banners for Valley Christian Fellowship located in Longview, Washington. We've been working with Valley Christian Fellowship (VCF) for the past two years supplying them with both graphic and print design projects. 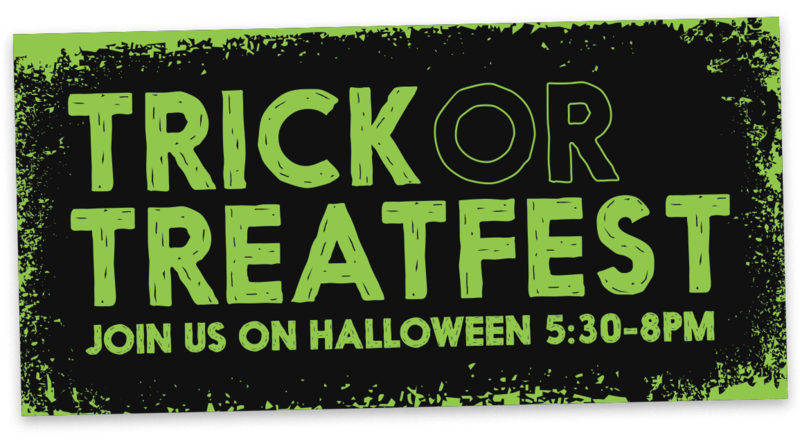 For this project specifically, VCF needed banners designed and printed for their annual Trick or Treatfest on Halloween in Longview. We not only designed these banners, but we also printed and shipped them to VCF.